More than 800,000 Americans are currently affected by the government shut down. And, while it would make sense to force our congressmen and senators to also not get paid during that time, it just won’t happen. Even though you may not be working and getting a paycheck, it doesn’t mean the bills stop. You still need to feed your family and take care of yourself. The truth is that a layoff or furlough can happen to anyone at any time. And, if you already struggle to live paycheck to paycheck, not getting paid will certainly increase your stress level. First off, if you aren’t getting paid, you need to take a deep breath. I know it is stressful and you are struggling, but it is all going to be OK. Your first instinct may be to go take out a second mortgage or unsecured loan. You might be tempted to get some additional credit cards. And, that retirement account may be calling your name. All you are doing is adding more stress by increasing your debt or tax liability. Then, when you do start having paychecks again, you end up with more bills to pay. It may be a short term fix, with long-term consequences. Just don’t do it. Go ahead and have a good cry. Then, wipe your tears and create a plan. If you don’t have a budget, there is no time like the present to make one. A budget is not going to restrict you from spending money. In fact, it is the opposite. Your budget shows you where you spend your money. And, more importantly, where you might be able to cut back. It could mean stopping your gym membership and not dining out. It could even mean canceling your cable service. A traditional budget will show the income you bring in. But, if you don’t have any regular paychecks, how do you do this? You make your budget with the money you do have. Don’t include the amount you normally make, but rather, just the amount currently coming in. If there is no money at all, then create your budget with the money you have on hand. You need to get everything out of every penny you make. Your budget is crucial to surviving a layoff, furlough or government shut down. 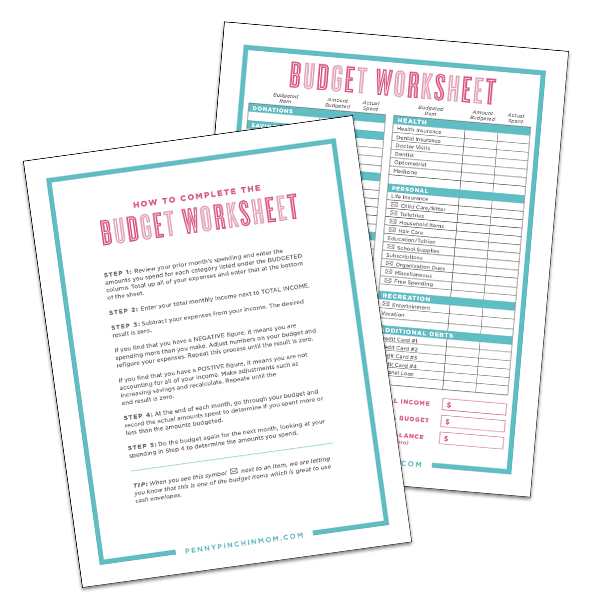 Look at your budget and cover these expenses first. Don’t pay your cable bill if you can’t put food on the table. Cable is not important right now, but you must feed your family. Once you cover your basic needs pay other bills in order of importance. Don’t worry about the credit card bills right now – but pay your utilities. You can’t pay everyone. There is no getting around that. Pay those you need to in order to protect your family. A simple way to generate some quick cash is to find things you do not need and sell them. The added bonus is that you get a chance to clean out the basement or the garage. Use sites such as LetGo or Craigslist to sell big items. If you have clothing check out ThredUp or Poshmark. There is always someone who needs something. If you are in the midst of getting out of debt, you’ll have to stop — for now. Getting out of debt can’t be your priority at this time. You have to make sure you are taking care of your family. Once your income returns to normal levels, you can pick up your debt snowball right where you left off. And, if that means the balance had to increase in the short term, so be it. When you struggle financially, it’s time for some big changes. The first thing to do is look at your food bill. See what you can cut from your spending. Do some searches on Pinterest for very cheap family meals that you can make. You may also want to check out different grocery stores. For example, if you live near an ALDI, make a trip there to shop. You’ll find almost everything you need, at very low prices. You aren’t sacrificing quality. You are just making the most of every dollar you spend. Take a deep look at your budget and get rid of things such as monthly subscriptions like Hulu, gyms, etc. You can always start these up again when you increase your income. Once your income returns, you get to add these back in. These are temporary cut backs just to help you survive this time. It is important to reach out to all of your providers and lenders to let them know you are part of the government shut down, or in the midst of a layoff. You don’t want to risk getting service shut down due to lack of payment. While many of them may not be able to make any concessions, they might be able to give you an additional month to pay or not charge a late fee. But, you will never know unless you ask. What’s the worst thing that will happen? Note that during the winter months, utility companies are not allowed to discontinue services, but they can during other times of the year. When there is no money coming in, you’ve got to find a way to change that. It may be time to add a side-hustle. It could mean working fast food or getting a job at Walmart. You just have to find a way to bring in money during this short period of time. If your layoff or furlough is temporary, you may not be able to get another job. It could be part of the terms of your employment, so it is not an option. That means you need to try a side-hustle. It might mean you are an Uber driver or even tutor kids. Check your local food pantry or church to ask for help. These organization can provide food and even money to help cover your bills. You may also have family members who are willing to help by paying for your groceries or covering your electric bill. But, you have to ask. You have a family to provide for, so you can’t let your pride get in the way of getting them what they need. Once you are back at work and your income is back to what it was previously, don’t just go back to your spending like before. You don’t want to struggle again should you find yourself in this same situation. The most important thing to do is to work on building your emergency fund. The idea is to build it up to have at least 3 – 6 months worth of living expenses covered. I know it sounds like a lot. And, it probably is. You won’t build it up all at once. It will take time. But, you can do things such as sell more items or get a second job. Even if you start saving just $10 a week, you’ll have saved more than $500 in a year.